Cotton is a classic; a dependable standard when it comes to the apparel of all kinds. In terms of yoga, cotton is the first choice for many yogis who value the softness of this fabric. It works especially well for beginners and yin practices. It won’t hold up as well, however, for your next hot yoga session or any practice where you’ll be sweating a lot. As we all know, cotton absorbs moisture. No one wants to be drenched in sweat 15 minutes into a group class – along with the chills that come along with wearing wet clothes, your fellow yogis might not appreciate the odor! For yogis who prioritize sustainability, organic cotton is one of the best fiber options out there. Cotton is a natural fiber to begin with, and when it’s produced organically it’s a sure way to reduce your carbon footprint. Organic cotton is biodegradable, which means that once you’re done with it it will break down over time, instead of accumulating and harming the environment. Polyester, Spandex, and Nylon are among the various synthetic fibers on the market today. Synthetics offer the solution to many of cotton’s less desirable qualities: they’re stretchy, wick moisture, they ventilate, and dry easily. These fibers are perfect for cardio-based yoga practices and longer sessions in the studio. They effectively remove sweat so that you can go for longer without catching the chills or becoming preoccupied with your pit stains. 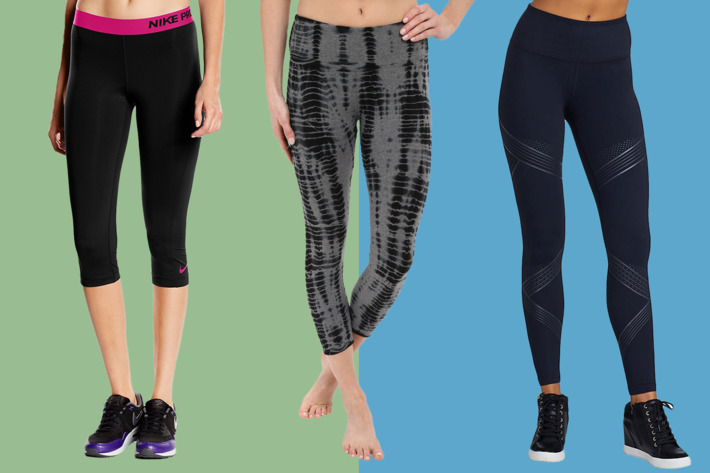 Most serious yogis have a variety of synthetic apparel in their closets. There is a big drawback to these fibers, though—they’re made from plastics and chemicals, and aren’t very sustainable to produce. They necessitate a bigger carbon footprint and typically aren’t biodegradable like natural cotton fibers. For many yogis, this aspect of synthetic goes against the yoga lifestyle. Most apparel companies recognize the complementary characteristics of cotton and synthetics and use a blend to produce clothes that can boast both softness and moisture-wicking. There are so many blends on the market today, made of various new synthetics as well as either cotton or organic cotton. Whatever is most important to you when it comes to choosing a fiber, you’ll most likely have to compromise if you decide to purchase a blend. However, knowing the pros and cons of cotton and synthetics will make you a more informed consumer. So next time you shop, check the tag! You’ll be able to discern what percentage of each fiber is best for you.